In honor of the final show of the of the Ringling Brothers, Barnum and Bailey Circus that is happening today, May 21, I thought I would reminisce on the circuses of my past. In truth, my life as a single mom is often a bit of a circus, but I will stick to a discussion of circuses in the entertainment sense of the word. When I was very young, I attended my first circus. I don’t remember how old I was, and I don’t remember where the circus was. I only remember that it was under a tent in a large field. It was a cold, rainy day, and my very scattered memories of that event include the fabric of the tent, the hay that was scattered on the ground to keep the mud under control, and the mingling smells of damp hay, dirt, and animals. I remember Dad’s large, warm hand holding my small one as we made our way to our seats. And that is pretty much my only recollection of that trip to the circus. 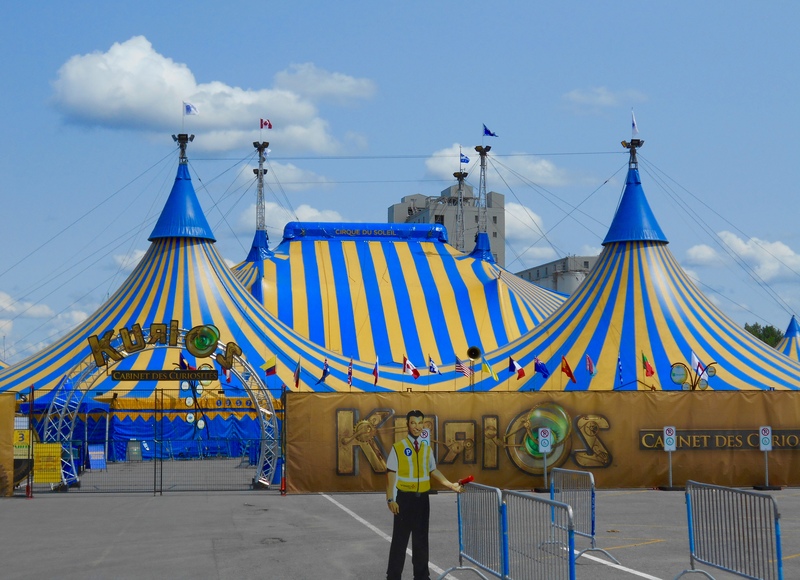 My second trip to the circus did not involve a performance under a tent. This one was a performance of The Great Moscow Circus in a large indoor arena about an hour from our home. [Side note: my childhood took place during the Cold War years]. It was a beautiful, sunny day, though I cannot remember the season of the year; I think it may have been somewhat cool outside. We made our way to our seats, and Dad left to visit the men’s room before the show began. A few minutes later, as my sister and I bounced in our seats in anticipation, we heard an announcement that began, “Ladies and Gentlemen….” The announcer continued, letting us know that we needed to evacuate the arena. We had a brief moment of disbelief before Mom gathered us up and headed for the door. As we descended the stairs and began to move toward the exit, we met up with Dad, and we made our way back to the car. We sat in the car, listening to the local radio station, but no news came as to why we had to evacuate. After a time, we were allowed back in the building, and the show went on as if nothing had happened. Later, we would learn there had been a bomb threat which necessitated the evacuation for a thorough search. I don’t remember any of the show that day, only the evacuation. My third trip to the circus was to celebrate my younger son’s sixth birthday. We went to the Ringling Brothers pre-show first, where we met some of the clowns and saw some of the performers. I’m not sure how much of that experience my children will remember as time marches on. This is the only circus performance I remember—because it was much more recent—and I only remember bits and pieces. I think traditional circuses tend to be far too busy and flashy to appeal to those of us who can only pay attention to one thing at a time. The moral of my circus story is that parents can spend time with children in all kinds of activities. Ultimately, what children will remember is the time together (and sometimes any occurrences out of the ordinary) rather than the activity, itself.